Immune system supplements are important if you have an unhealthy lifestyle. If you're getting sick often lately, you might be one of those with a poor immune system. A weak system makes cancer prevention difficult. What if you already have the disease? The more you need to take extra vitamins to enhance your immune system. But please make sure you notify your doctor for any supplements (even if they are herbal and natural) you're considering taking. Also, be open-minded and be proactive with your health. Discuss things with your doctor. Don't just rely on him or her 100%. Your doctor means well and he or she would like to see you get healthy again but still, you know what's best for yourself. There are supplements that can prevent cancerous cells from spreading further which some doctors still don't acknowledge. Of course, in addition to taking them, you also have to make an effort to live a healthier life. Get moving with any regular physical activity and avoid too much sugar in your diet are some of the steps you can do. Not all supplements for your immune system are natural and for the prevention of cancer. It is important to consider how effective they are as boosters and how natural the ingredients that go into those supplements are. 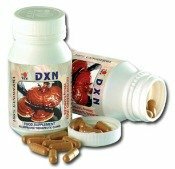 Ganoderma mushroom is used largely in traditional Asian medicine for thousands of years. It is recognized for its natural preventive effects against diseases. For more information on this supplement, see What is Ganoderma. There have been numerous studies on the Reishi mushroom and its benefits. There have been a lot of positive testimonials on how it helped people with recovery. I'm a big fan of the mushroom for almost 10 years. I'm at an age when most women are diagnosed with myoma or abnormal polyps in their reproductive organs. Most women I know had been through those medical conditions. I just had a check-up with my gynecologist and thankfully, the results have been very good. I attribute it to the Ganoderma extract supplements I have been taking for the past years. It is actually an algae. It has cancer prevention and anti-viral characteristics. It also enhances your body's natural defense system against sickness. I'm also a big fan of Spirulina's health benefits because my daughter finally got rid of her asthma for good. She was diagnosed with asthma as a child and was put on steroids (particularly prednisone) every time she had an attack. She also started taking Spirulina when she was 12 years old in 2004 (the year I decided to be more proactive with my family's health and not rely on western medicine alone). She still had attacks way back then but not as severe and as frequent anymore. Her doctor didn't have to prescribe steroids. Today, she is 20 years and never had an attack for 4 years. 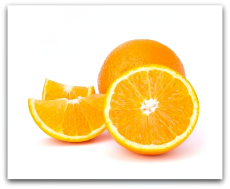 Vitamin C is important because it protects and boosts your defense system. You can easily get this vitamin from natural sources like food. Fruits and vegetables are the richest sources of vitamin C but surprisingly, a lot of people don't eat plenty of them. In fact, there are actually people who don't eat fruits and vegetables. I know someone who grew up not eating fruits and vegetables. If you are one of those people, it is necessary that you take supplements. Now that you have an idea on the kinds of supplements that are available . . . let's talk about the other natural boosters for your health. 10) take natural immune system supplements.